Mast-Overall Raised Height: 221" Approx. Carriage: 'C' Type Maximum Fork Spread Outside Dimension 98", Minimum 27"
Gross Weight: 81,300 lbs Approx. 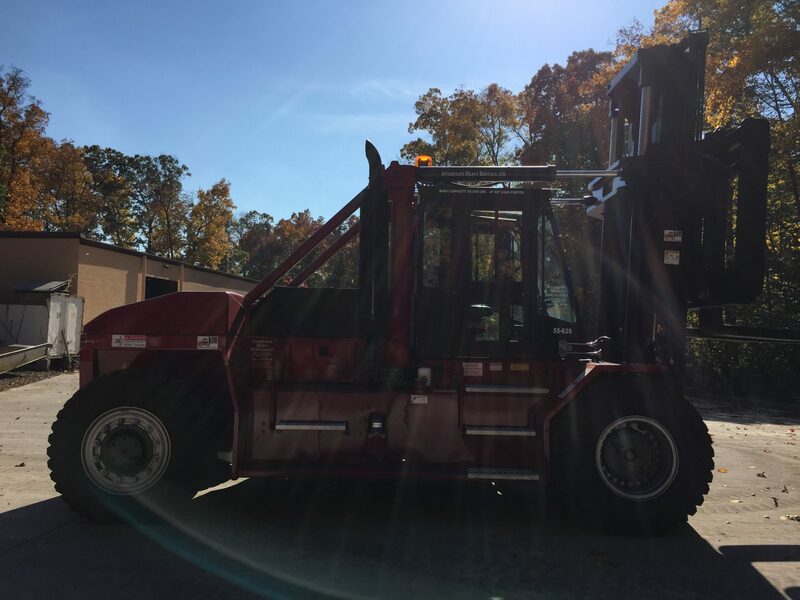 Details: This Taylor forklift can handle any of your heavy lifting needs. 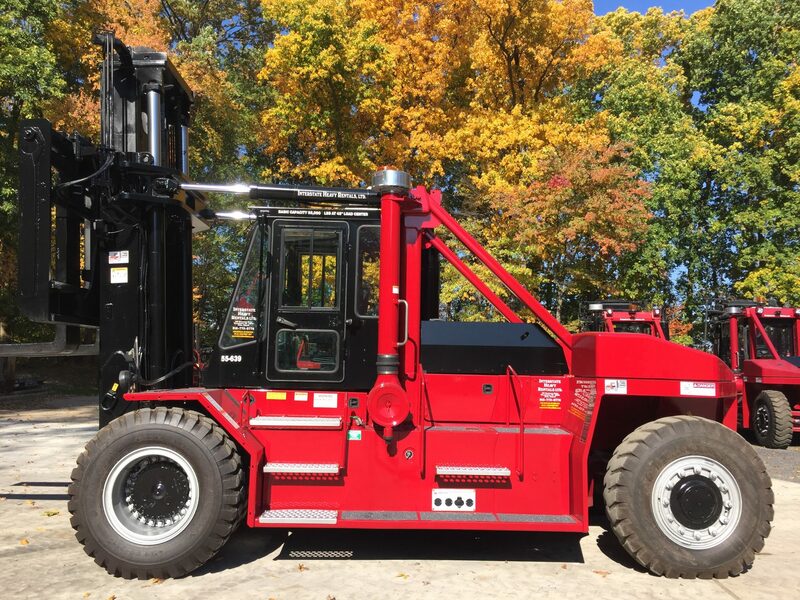 This 55,000# capacity unit runs on Diesel, pneumatic tires that are dual drive, and has over 11' of lifting capabilities. All of the safety features are on the truck as well. 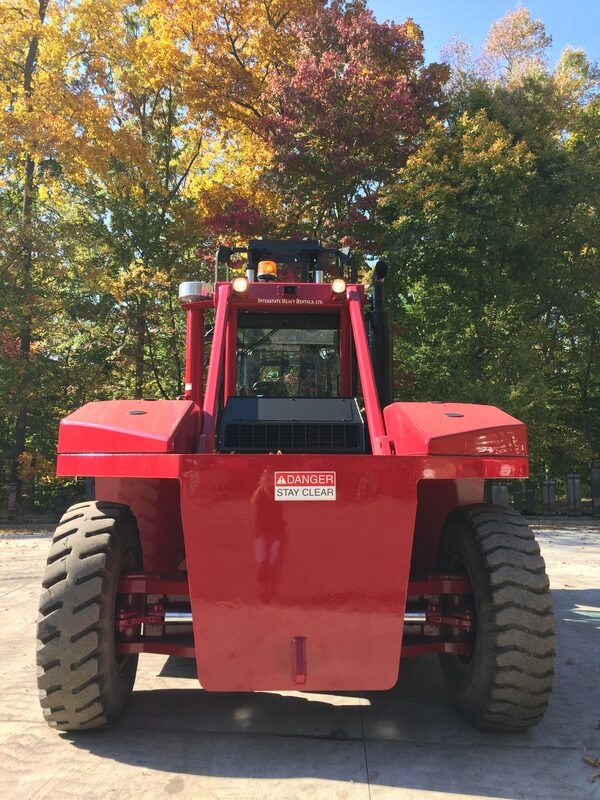 Interstate Heavy Rentals delivers our forklifts all over the Eastern seaboard to Pennsylvania PA, New Jersey NJ, Delaware DE, Maryland MD, New York NY, Vermont VT, New Hampshire, Connecticut CT, Massachusetts MA, Rhode Island RI, Maine ME, Virginia VA, West Virginia WV, Ohio OH, Indiana IN, Kentucky KY, North Carolina NC, South Carolina SC, Tennessee TN, Florida FL, Georgia GA, Mississippi MS, Michigan MI, Alabama AL. 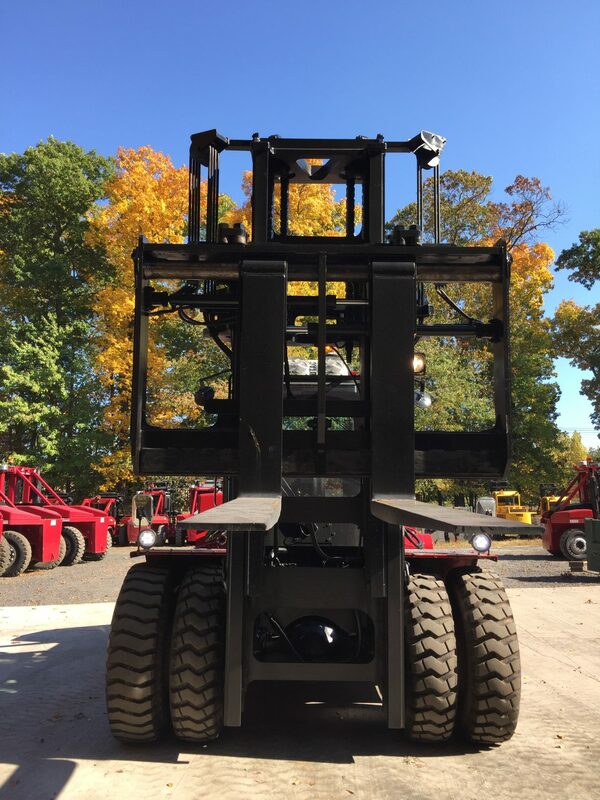 We also deal with some construction lifts and aerials, as well as all kinds of rigger type lifts also known to some as "hi lo's and towmotors". 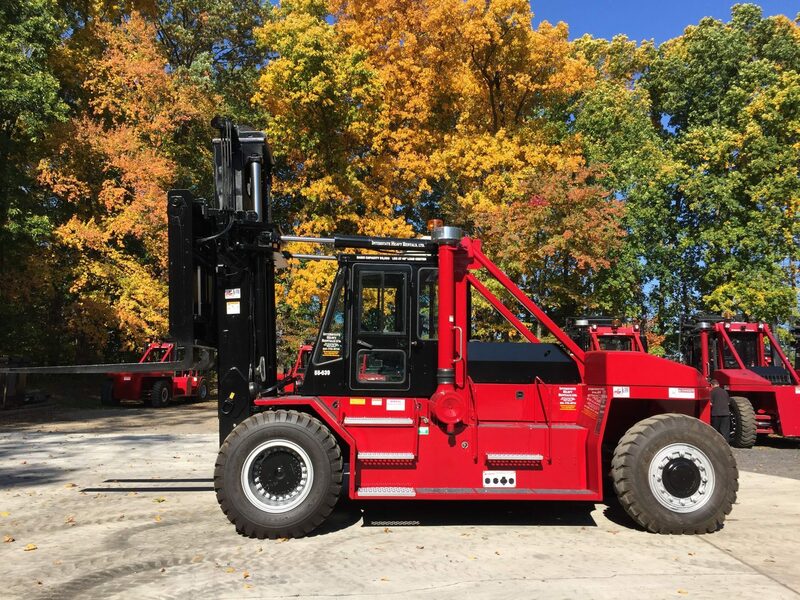 All units are available on short or long term lease, and occasionally we have rental retirements for sale when our company is replenishing our fleet with new equipment. 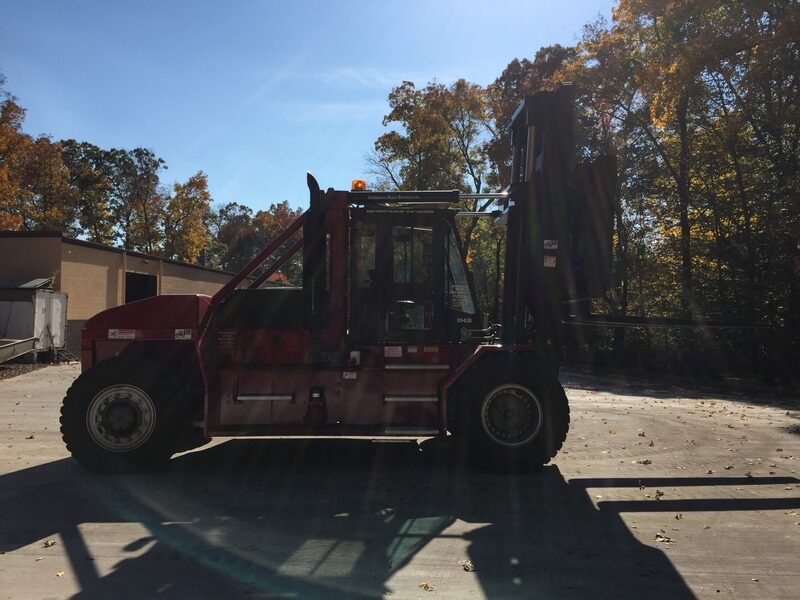 Our standards are very high when it comes to the forklifts we rent to our customers.